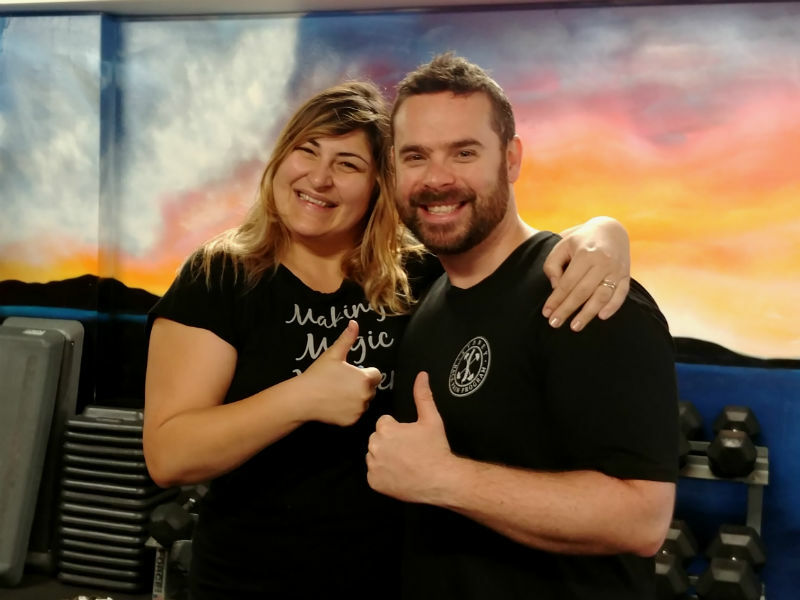 Another Lower Back Pain success story! “I just wanted to say thanks to you Brian, I will miss your evil sessions down in Melbourne. When I called him up 4 months ago I was struggling to put make up on without leaning on the wall for support. My back was that bad. I used to play volleyball and did some strength training and in the process, I have managed to hurt myself. I always thought the issue was the back and xrays and MRIs confirmed it, but with Brian we have managed to identify the real cause behind it: my non existent core strength and funny hips that get locked up easy, throwing my whole back/glute situation out of place. Brian has also taken a lot of pleasure in showing me the multiple ways my body and me have found to cheat over the years, while training. Slowly working to re-learn certain mouvements to make them more effective. It is a slow but sure process! Today, after 4 months of work together I can put make up on standing on one foot (on a good day 🙂 and I have gone back to do some basic strength exercises like split squats and barbel squats. Working on the evil abs wheel too!